To select one of the plans you need to first choose which control panel do you want. cPanel is widely used among the majority of web hosting companies and it is often considered to be the most popular choice. Although InterWorx is not new, it got to speed recently with all the new features and it is considered to be a very reliable and fast control panel. Here are our Hosting Plans, these are valid for cPanel as well as Interworx. cPanel is backed up by a lot of years in development, it has really a lot of features, it’s probably one of the most complete control panels for web hosting out there, it also sports a shiny new theme called Papern Latern that make administration of any website so much easy. 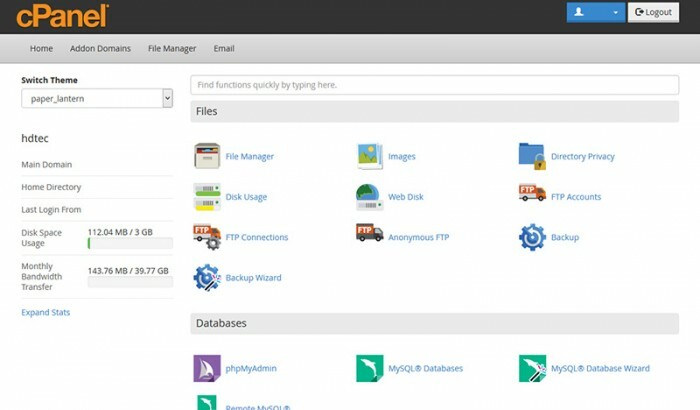 All of this has it’s drawbacks though, cPanel is heavier on resources than it’s competitor, it is also more prone to bugs which are fixed on a weekly basis and it also has a lot of extra options that tend to confuse the novice and are generally not needed that much to make a site running. The excess of options made cPanel one tough panel to keep clean and working and if it’s not constantly monitored, it may present problems from time to time. cPanel works with Apache and we have it running as FastCGI plus we added an OpCode Cache on it to speed things up, we monitor the resources and check it on a daily basis to keep it fresh and fast for our customers. 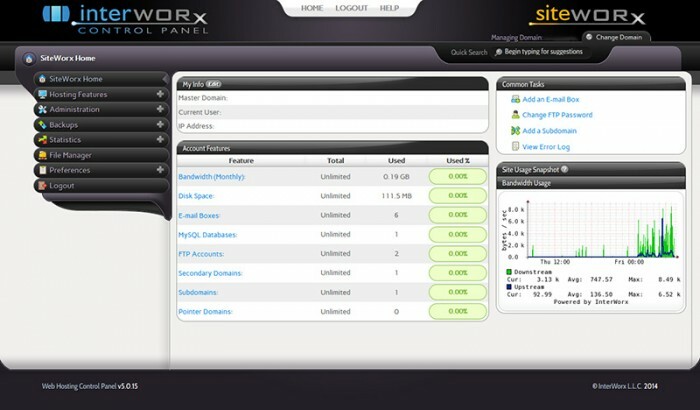 InterWorx is not a new panel at all, it’s been out there a couple of years now but it was never up to the level of cPanel, feature wise up until now. InterWorx sports a super-fast and easy setup which lets the novice and experienced user to setup a website faster than in cPanel, plus the simplier design takes the burden out of the user to setup a website very easy and in fewer steps than cPanel. On it’s drawback the interface of InterWorx is less shinny than on cPanel and the file explorer it’s not up to the same level but InterWorx is a much lighter on resources and as such, even with optimized servers, clients on InterWorx may experience faster response times due to the nature of how InterWorx is setup. So, if you’re a fan of uber performance and wants your site setup fast and don’t mind the interface, InterWorx is surely for you. InterWorx is based on Apache and we have it running with FastCGI and an OpCode Cache to speed things even more. Because InterWorx is built upon fewer services it’s lighter by design, it doesn’t need the time and resources cPanel needs to keep it clean, we still monitor the server daily to keep it working fine. ©2014 Paul Silva & Alex VojacekReasonable Web Hosting and RWEBH are trademarks of Silva Technologies , All rights reserved. All service marks and trademarks belong to their respective owners.